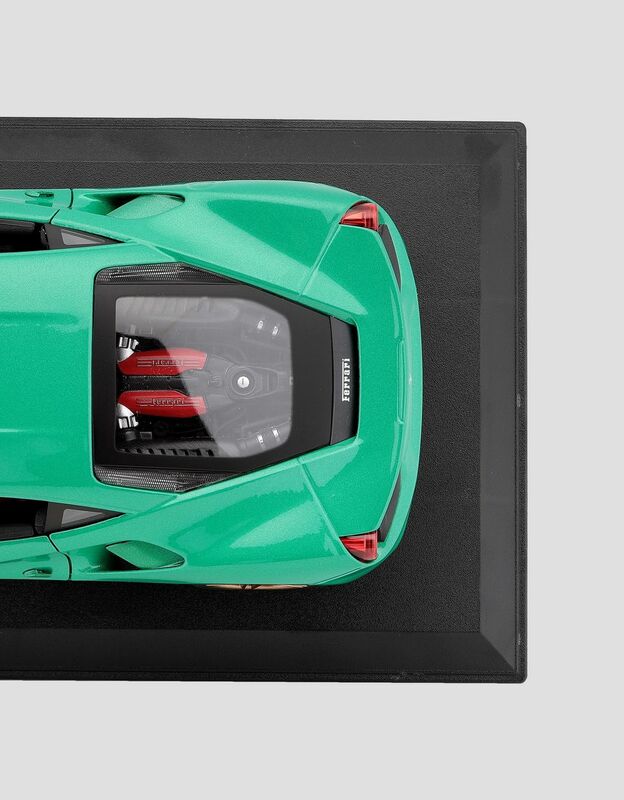 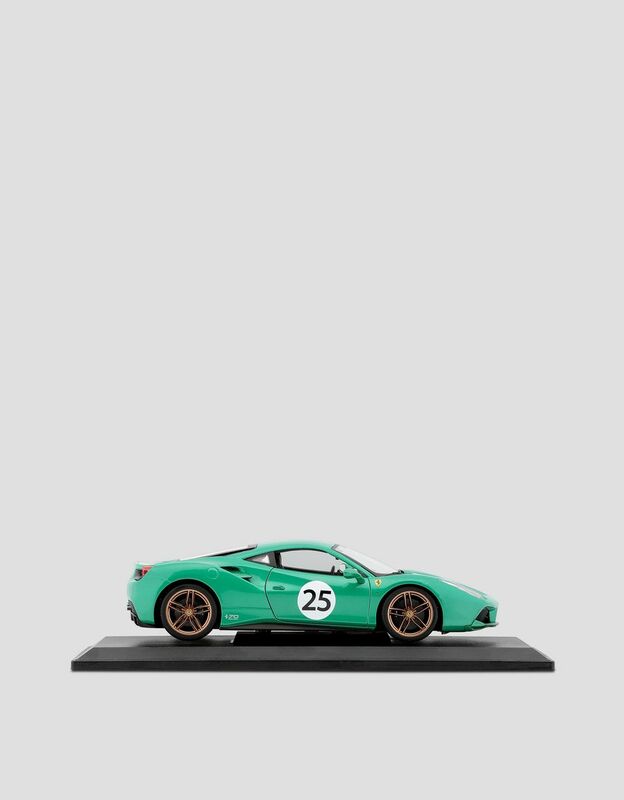 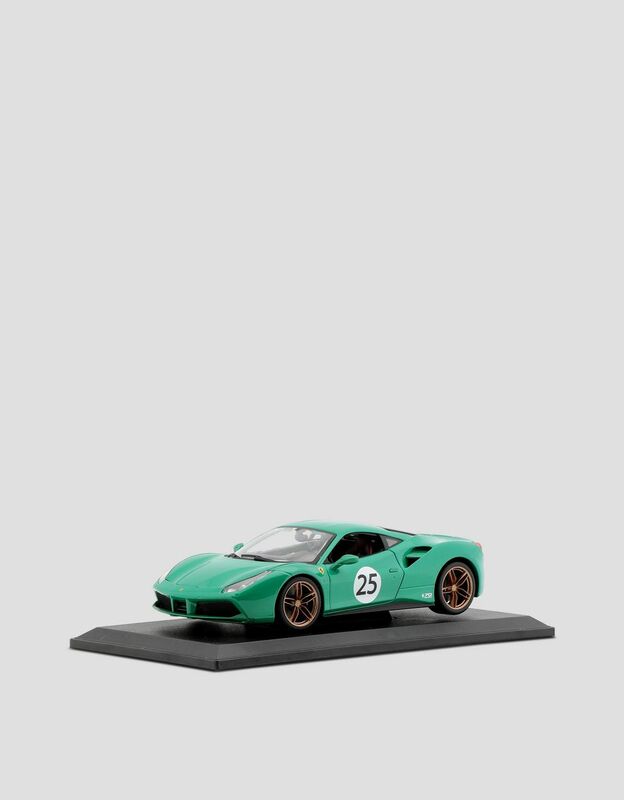 Produced in a limited series, the 1:18 scale model reproduces the famous 488 GTB "The Green Jewel", created especially for the seventieth anniversary of Scuderia Ferrari. 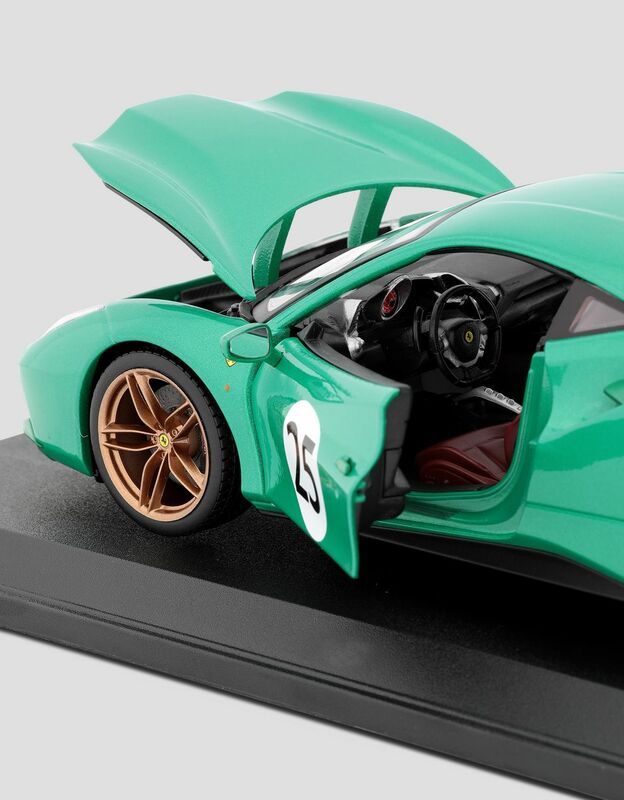 This celebratory model pays tribute to 70 years of Scuderia Ferrari. 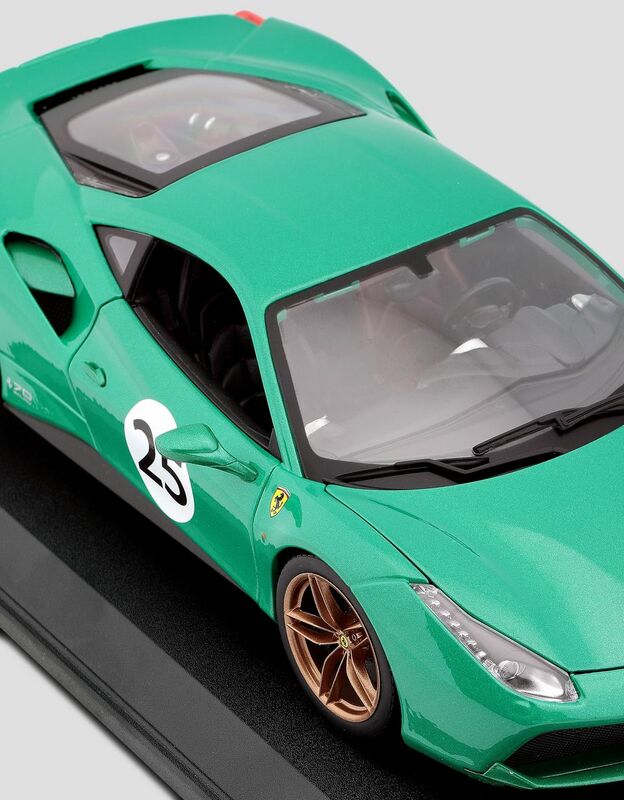 The famous 488 GTB car in "The Green Jewel" version with green livery, created especially for the anniversary of the Maranello-based company, faithfully reproduces every detail and is fitted with a functioning steering system and boot, as well as an extremely detailed interior. 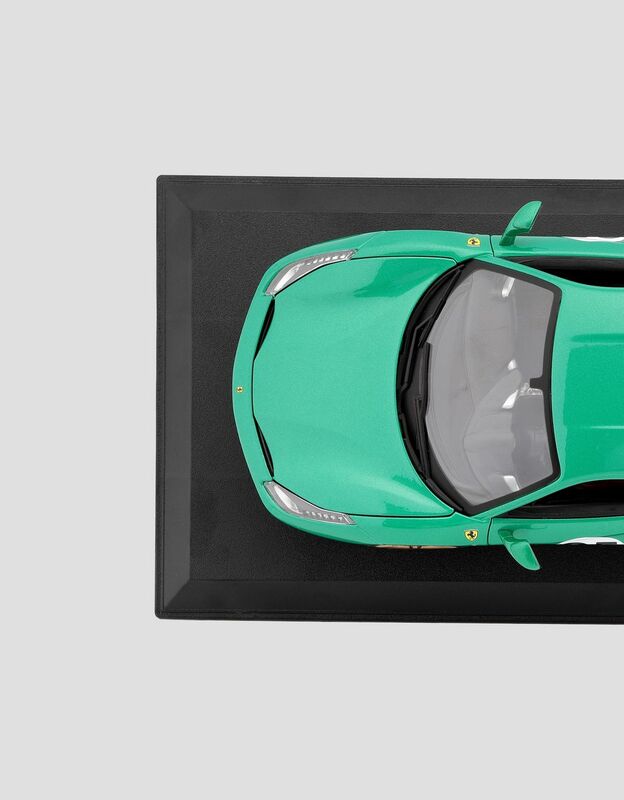 The limited series model comes in elegant display packaging and is dedicated to all collectors.